When green plantains started showing up at my grocery store about 10 years ago, I was totally fascinated. I had no idea what they were, except they looked a lot like green bananas. Then I happened to eat dinner in my local Cuban restaurant, and fried plantains were part of the accompaniment for the pork roast along with rice, black beans and sliced onions. That was it. Total love. However, those plantains were ripe. Sweet. The skins partially black. Not anything like the hard green items in my produce department. 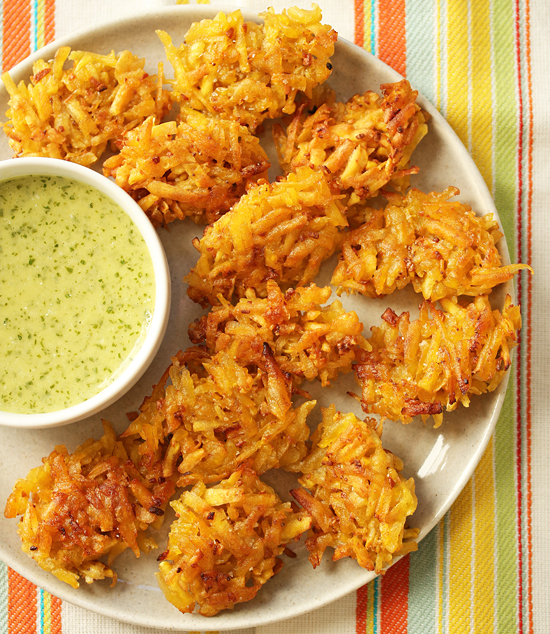 So I did a little research on-line, and discovered shredded green plantain fritters (Arañitas means little spiders in Spanish) are a part of Latin Caribbean cuisine. 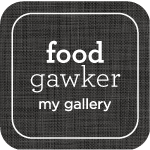 Each recipe was pretty much the same, and several recommended the garlic sauce for dipping. Also garlic aioli, cocktail sauce or guacamole. Start out with the greenest plantains you can find. They will feel hard as a rock. That’s good. Cut off the ends and make 2-3 length-wise cuts from end to end. Pull off the skin and remove any spots. Shred the plantains on the large holes of your grater and soak in salted water for about 10 minutes. While the plantain is soaking, make the Garlic Mojo. It’s really easy. 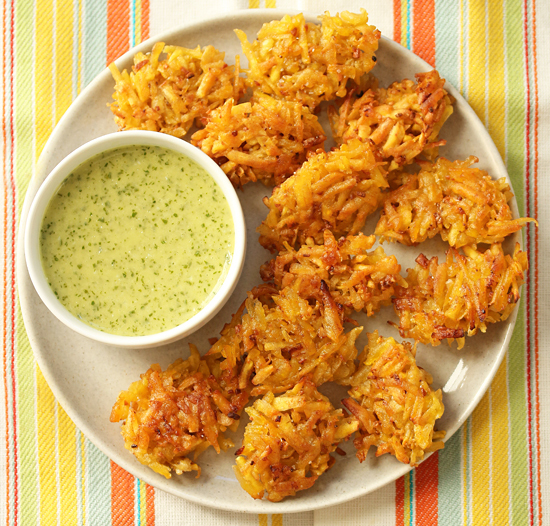 Garlic, onion, cilantro, lemon juice, lime juice and warmed olive oil whizzed in your mini processor. Voila. That’s it. This mojo is amazing. It is delicious on corn chips of every description. I tried it on chicken and eggs. Then it was all gone. Next time I’ll try it on some new different things. Yum. The shredded plantain is drained in a colander, then pressed between paper towels. I used a soup spoon to form the fritters. Scoop some up and press your palm over the top, then slide into heated oil. 1. 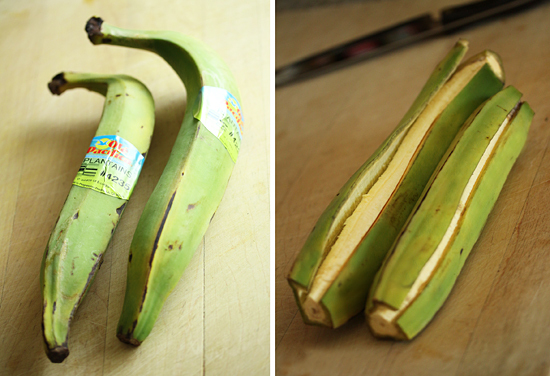 Cut off ends of plantains and make 2-3 length-wise cuts from end to end. Remove peels. Trim away any discolored spots. 2. 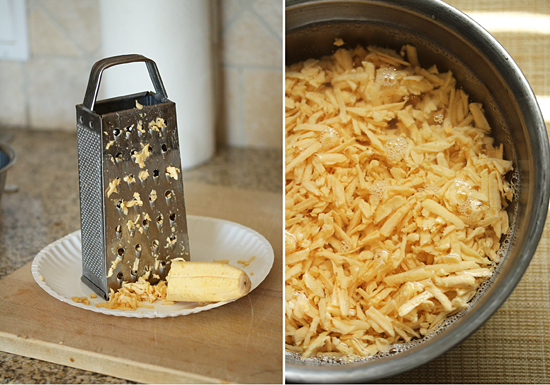 Shred plantains through coarse holes of grater (makes about 2 ½ cups), and place in bowl of salted water. Soak for about 10 minutes. 3. Drain through strainer and place on paper towels. Press with more towels to soak up as much moisture as possible. 4. In large bowl, mix shredded plantain with minced garlic and season to taste. 5. Heat about ¼-inch oil in large skillet over medium heat. 6. 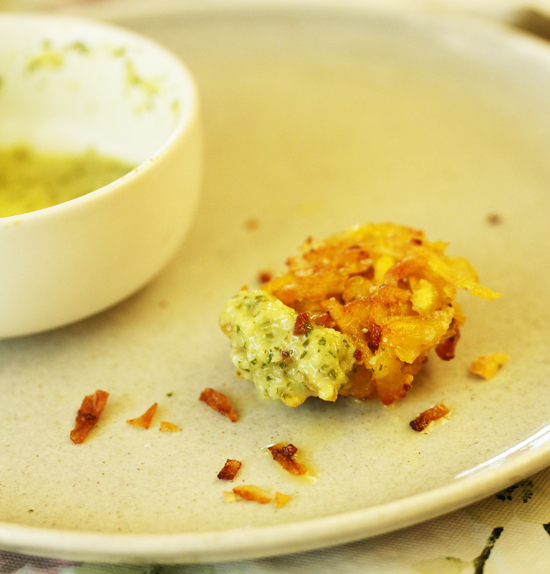 Scoop shredded plantain with soup spoon and form into rounded fritter with palm of hand. 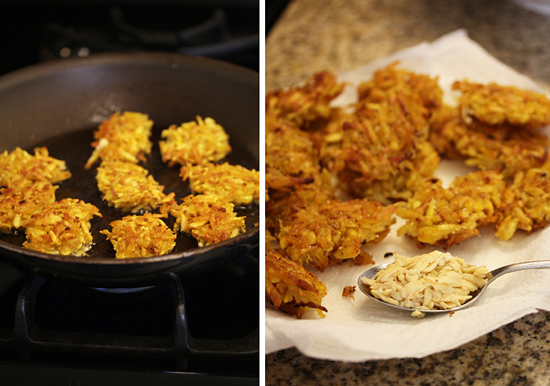 Slide off spoon into oil, repeating until skillet is full of fritters about 1 inch apart. 7. Fry until golden, 2-3 minutes per side. Drain on paper towels. Serve with Mojo de Ajo. 1. Warm olive oil on stove top or microwave. You should be able to hold finger in oil comfortably. 2. 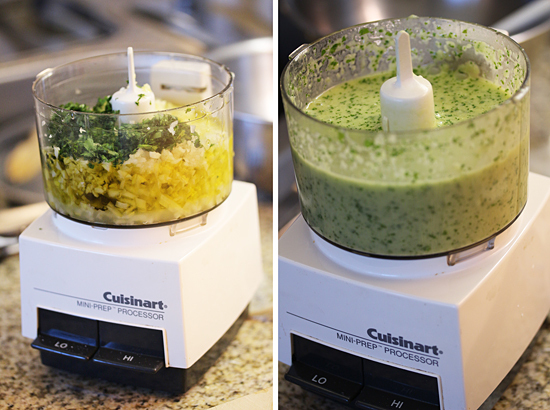 Place vegetables in mini chopper or blender and process until finely chopped. Add warm olive oil and process to sauce consistency. Add salt to taste. Note: Mojo will keep, chilled and airtight, for 4 days. 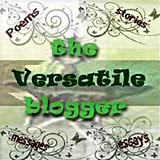 I love plantains but have only used the sweet, rotten black ones. This looks amazing! Day-yum, girl! What an intriquing recipe. That mojo sauce looks like it would go on almost everything. Your recipe was terrific and translated well into my kitchen. I am PRican and hosted some friends to learn how to make PR food from scratch. I had not made aranitas before, though I have plenty of experience frying tostones and amarillos. I wanted to make them since they were so much a part of trips to the beach when I grew up. - used 1/2 a white onion (not yellow) for the mojo and heated the oil a little more than stated. When I poured the hotter oil over the pureed vegs, the oil sizzled and reduced the garlic bite to a perfect level. Out of all the dishes, people were most excited about this one, and the frying was much simpler than tostones. The mojo is gone- devoured over everything yesterday. Can’t thank you enough!